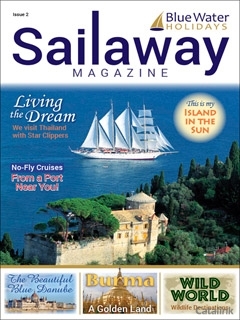 View the Sailaway Magazine 2 Online Brochure Now! Dover, Deal and Sandwich. Enjoy our laid&#8211;back lifestyle &#8211; slip on your favourite sweater and walk the chalk, skylarks overhead, salt spray on your cheeks. Exhilarating, exciting activities are based throughout the beautiful unspoilt coast and countryside of White Cliffs Country. Be inspired to discover the captivating wonder of the world in which through packages which will transport you to distant lands of excitement, adventure and discovery. Trust in the expertise and diversity of Titans meticulous packages and explore the seven continents the way they were meant to be explored. Flexi Direct Holidays are here to help you plan the holiday of a lifetime - find your perfect package with them when you sign up for their newsletter today!